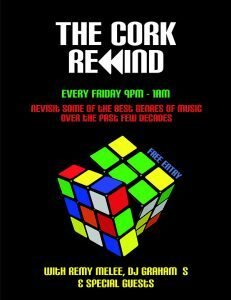 Every Friday night The Cork is bringing the sweet throwback tunes. With recurring DJs Remy Melee and Graham S plus guests. Come down to hear your fave groovy tunes from the 70s through to the 00s! !